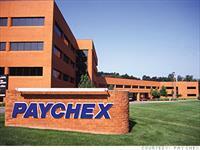 Paychex | Payroll Services - Burlington Area Chamber of Commerce ? Payroll for Small Businesses 1 to 49 Employees. Join 590,000 businesses that simplify payroll, HR, and benefits with Paychex. 24/7 support.